Digital content trade on distributed secondary market. A new blockchain economic era for the publishers creators and users. Asobimo DApps platform will make digital content on the secondary markets a valuable asset for all parties, and provide a secured trading experience at a minimal cost and frictionless. Digital content can sometimes be too easy to copy. How do we allow content redistribution that works for users, creators and publishers? Asobimo DApps will provide a distributed secondary content platform with “Decentralized Security System” (DSS). the blockchain will provide irrefutable proof of content ownership. We will provide a cloud system called “Decentralized Security System” (DSS) by using blockchain technology. We will create a P2P – style distributed secondary content platform. You will be able to buy and sell digital content, such as comics, games, music that you want to share with others. 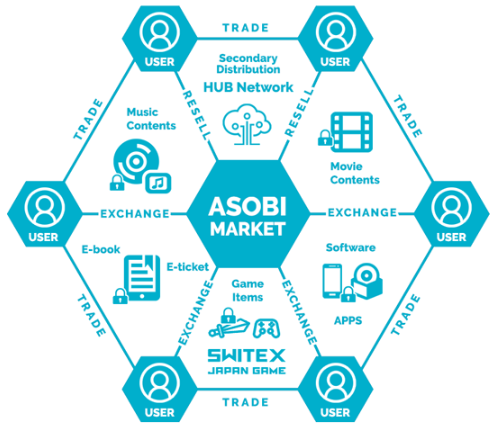 ASOBI MARKET uses the blockchain technology to provide a protected system to distribute secondary (used) content. When you shop at ASOBI MARKET, we can guarantee you a safe exchange between secondary (used) content and cryptocurrency through the DSS system. ASOBIMO and SWITEX Gmbh jointly developed NAGA Virtual, the platform for in-game items inside ASOBI MARKET. Gamers can buy or sell in-game virtual items individually or through a game publisher. We provide a safe, fair, and modern market for all kinds of games and virtual goods. 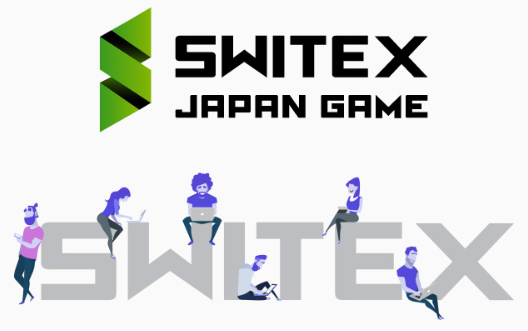 At most item trades, the publishers don’t get much profit, but thanks to Switex Japan’s publisher friendly platform, they will get their profit from the traded amount. 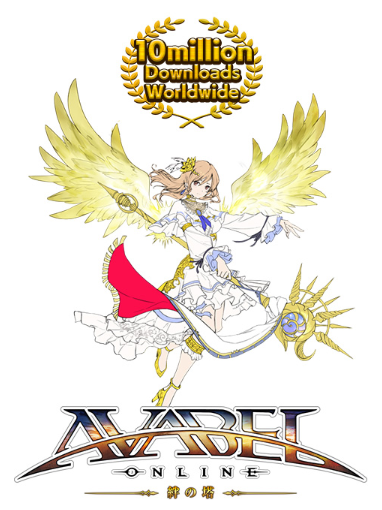 MMORPG in-game item purchase Gamers will be able to buy ASOBIMO’s in-game items with ASOBI COIN at a 50% discount! Our virtual item store will accept ASOBI COIN as payment! DEC 2019 Enable the usage of ASOBI COIN in over 1000 games.